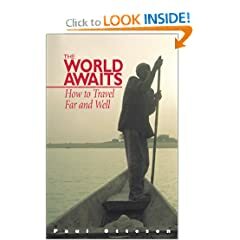 In this lavish volume, we reveal our picks for the world's most fabulous journeys, along with helpful information for readers who want to try them out. Extraordinary Values in the World's Most Stunning Destinations. 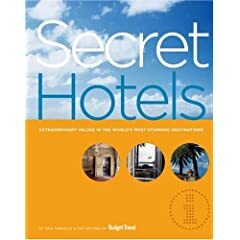 The inside deal on fabulous yet affordable hotels in the world’s top vacation destinations. Recent research has made it possible - through preparation - to control feelings of fear of flying automatically. Through this program, you can triumph over your fear of flying and begin to enjoy your travels. The AAA 63 Piece Winter Severe Weather Road Assistance Kit is specially designed to deal with cold-weather emergencies. 399 Tips from Seasoned Travelers. 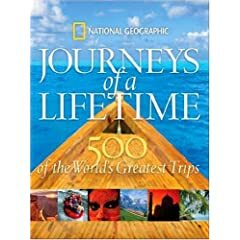 Collection of Budget Travel readers' best 399 travel tips is an essential addition to any traveler's library. Your guide for planning an extended, independent, international journey. 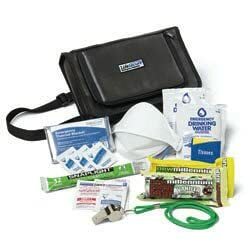 This Travel Emergency Kit provides one full day of support for 1 person in case of an emergency while traveling or driving.